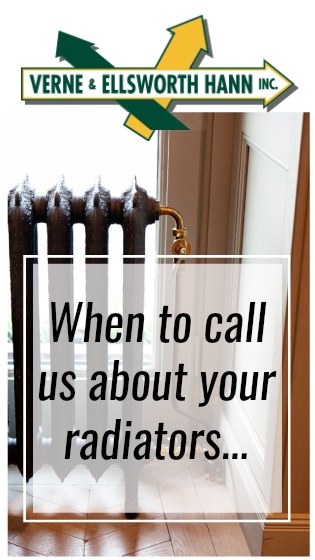 If you are experiencing any of these radiator problems, contact the experts at Verne & Ellsworth Hann! While there are many HVAC and heating companies in Northeast Ohio, none compare to Verne & Ellsworth Hann. Owned and operated by brothers Bill and Chris Hann, we are a five-generation family-owned company that has received countless service and community awards. Verne & Ellsworth Hann, located in Cleveland Heights, specializes in steam and hot water boilers. Our technicians are certified in comprehensive radiator installation, repair, and maintenance services, and we are continually training to keep up with the new innovations and best practices. Whether you are in need of a tune-up or suspect that there may be a larger heating problem in your home, the Hann brothers are here for you! Contact Verne & Ellsworth Hann at 216-932-9755 to schedule an appointment today.